Danica Rossi wants nothing more than to make it through the next seven weeks and begin a new life with her young son; a life of which she has only been able to dream. 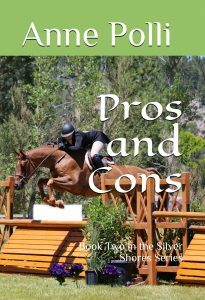 Before that dream can become a reality however, she must meet her commitment to work at the prestigious hunter/jumper shows at the Silver Shores Equestrian Complex on the California coast. To bring her desires to fruition she must first traverse the absurdities of a narcissistic show manager and her talented, yet damaged ex-husband, and the continual jealous rages of a spoiled twenty-something who views Danica as a stumbling block to her happiness. When an unspeakable crime is committed on the show grounds, the stakes escalate further and everyone becomes a suspect…or a liability, and Danica’s future is placed in jeopardy. 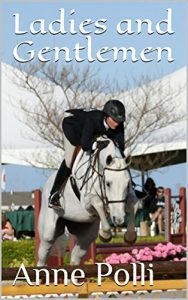 An unexpected alliance with the determined detective assigned to the case further complicates Danica’s efforts to navigate the arena of elite horses and riders, limitless bank accounts and trust funds, and a murderer on the loose; all of whom leave no doubt that this horse show is a place where there are very few ladies or gentlemen. Life for Dannie Rossi is on an upswing; she’s engaged to the man of her dreams, settling in to a new home in an oceanfront community and preparing to put her days of watching life from the back gate of a horse show arena behind her. But involvement in the competitive horse world of big money, envy, and even bigger egos will throw Dannie in the path of many imposters. Whether the small show manager striving for relevance, the philanthropic couple trying to belong, or the party guy with the Caribbean “hook”; everyone’s a con of one sort or another. Dannie’s loyalty, patience, and very sense of self are tested but when faced with losing that which is most precious will she find she is the victim of the biggest con of all.